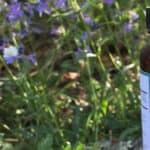 Ambary Gardens is one of the most unique CBD oil companies in the US today, because, unlike most, Ambary Gardens controls its product every step of the way, from growing to distribution. Based in Evergreen, CO, Ambary Gardens grows its own hemp in a state-of-the-art sustainable greenhouse, with extensive quality control measures along the way. In addition, customers looking to buy CBD oil from Ambary Gardens are further assured by in-house and third-party lab testing by Botanacor Labs. Ambary Gardens uses MCT coconut oil for their top CBD oil tinctures, giving it a longer shelf-life and more stability.